1/16 US & German Insignia Photo Etch Discounts Apply ! 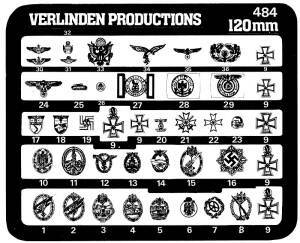 VER484 - Verlinden 1/16 US & German Insignia Photo Etch. This set is a sheet of highly detailed photo etched brass German badges for use on 1/16 scale German WWII figures.